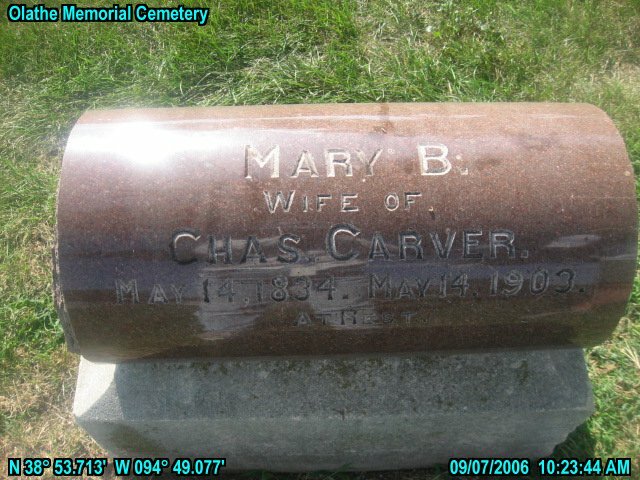 Mrs. Mary Carver, wife of Charles Carver, died at her home here in town last Thursday morning, May 14th, aged 69 vears. The funeral services were held at the M. E. church Saturday morning at 11 o'clock conducted by Rev. B. F. Dice and the interment took place-in Olathe cemetery. Please share your memories of Mary B..